A quick reminder — I haven’t done a ‘top ten’, as I wouldn’t know where to start in trying to rank them. They are just 10 cool women in London who I found inspirational and I’m sure you all will too. If there’s anyone else who deserves a mention, that’s what the comments section at the bottom is for. Enjoy! PS: Make sure to check out Part 1 if you haven't already. Tabitha is the Co Founder of CognitionX a Market Intelligence Platform for All Things Artificial Intelligence enabling people and companies to educate themselves and get community led recommendations on how to deploy AI. Outside of CognitionX Tabitha is the Co Founder of Future Girl Corp, she's an advisor to The Princes Trust and on the Marketing Council for Founders 4 Schools. Tabitha enjoys sharing her experience and can often be found speaking at high profile events such as DLD in January this year. She’s been recognised, in amongst other lists, The Media Week 30 under 30 and the Evening Standard Silicon Sixty and profiled in the Guardian. Her career started while at The London College of Communication, when she joined, t5m an online-first production company. This is where Tabitha co-founded and spun out the distribution software platform - Rightster. As the Co Founder, Tabitha took on many roles and is well versed the needs of rights holders and publishers worldwide. “I head up Rise London, Barclays open innovation space in Whitechapel. My role is constantly evolving but the essence has three parts to it. Firstly I focus on building the Rise ecosystem of startups in London and Europe. This includes shaping, implementing and positioning our Rise initiatives and to invite startups to engage with us. Rise is looking to help startups scale by providing resources, establishing partnerships and becoming their customer." Secondly, I go out to source and identify startups that can help Barclays solve some of our major challenges and facilitate introduction, establish collaboration opportunities through ideation sessions and match making activities. Founder and CEO of Entiq, a leading innovation delivery, new venture development and ecosystem creation firm. ENTIQ has just launched Europe's largest Innovation Centre based at Here East on the Queen Elizabeth Olympic Park. The centre will house innovative companies, big and small, and provide a wide range of services to support new product development, business growth, and collaboration. 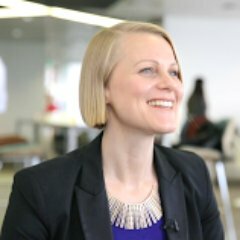 Claire was founding CEO of Innovate Finance, a City of London and Canary Wharf Group backed movement for a more balanced, resilient, and accessible financial services sector. Launched by Entiq, 54 fin-tech founders and the Chancellor, IF's vision was to radically transform every aspect of banking to deliver more choice to consumers and benefit to society. 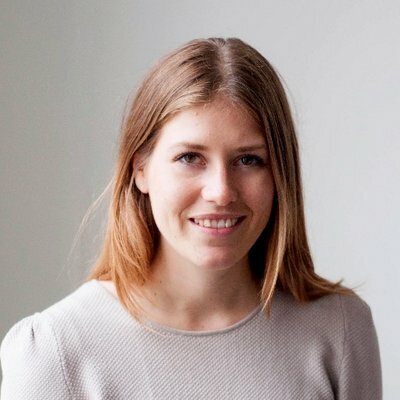 Co-Creator of Level39, Europe’s largest Technology Accelerator dedicated to fin-tech, retail and smart cities technologies, Claire headed up the innovation programmes there, such as Cognicity - a world-leading smart city technology pilot programme in Canary Wharf. Love #startup culture and building relationships? Interested in working with Claire at Plexal? They have an exciting opening for a business development executive. An innovator, connector, business founder and Advisory board member with a passion for tech, talent and community. Director of Nexec Leaders (Executive Search + Talent Development) Sarah has been privy to building some of the fastest growing tech firms, continually fascinated and inspired by the people behind the tech. An international headhunter, Sarah works across Board, C-Level, VP & strategic roles, matching incredible people with incredible opportunities. A passion for ensuring the workforce of today reflects our society at large, Sarah challenges the status quo, advising both the private & public sector on the power of diversity. This led her to co-found Tech London Advocates Women in Tech group (2000+ members), working with the key influencers of the tech community to drive best practice and actions. Recognising the need to support the tech ecosystem as a whole, particularly scale ups, Sarah drives change as Co-Founder of Croydon Tech City (www.croydontechcity.com), now the Capital's fastest growing tech cluster. This community led initiative focuses on inspiring, promoting and networking the community for economic development. Sarah led an ambitious transformation programme at the Home Office since February 2015. She transformed its technology capability and outcomes, redesigning the IT department to be more closely aligned to Home Office business units. She also transformed the infrastructure and platforms, moved the department increasingly to agile development approaches and introduced best-practice DevOps capability. Sarah is leading a speaking line up at the Tech Leaders Summit on 14th September, where 500 IT executives explore the biggest trends driving innovation, transformation and disruption in businesses. 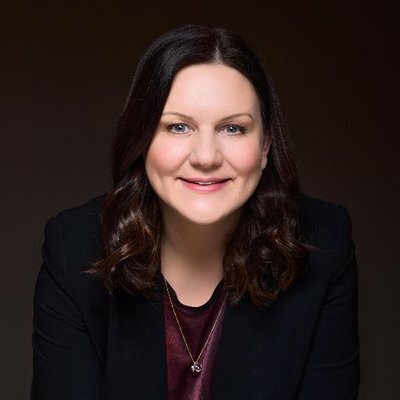 Claire Donald is a Project & Program Manager with over 15 years’ experience delivering IT infrastructure and application projects using traditional, agile and continuous delivery methods. She has a high tolerance for ambiguity and has worked within fast paced and high pressure environments, taking an entrepreneurial approach. Claire is currently completing an Executive MBA with Surrey Business School.